113. How To Start A Startup: Create A Successful, Long-Term Company Culture – How to Shape Human Behavior. 00:00:20 So you’ve built your product, launched your business and assembled your team. Your business has monopoly powers and is off the ground and growing, and people love it. Now it’s time to build your company culture, because company culture is going to be what helps you scale and build your company into a chain. Culture is “the beliefs, customs, arts, etc., of a particular society, group, place, or time… A way of thinking, behaving, or working that exists in a place or organization (such as a business). It becomes the foundational first principles you fall back on as you make future decisions. It helps you attract and select the right employees, defines how you recruit and align your employees on the values that matter to your company. It creates stability within your company and trust amongst your colleagues that everyone is working together towards the same mission. By defining who you are and what you do, you are also defining who you aren’t and what not to do. What not to do is very important to know. It shows you how to keep the right employees. [EDITOR’S NOTE: In Armin Trost’s lecture Human Resources Management: Mega-Trends of Competitive Advantage, Mr. Trost points out that high-quality employees want work with high-quality organizations by the employee giving the company his or her health, time, performance, talents and skills in exchange for priviledges, money, etc. As the leader, what personal values are most important for you? What values will you look for in employees? Remember to incorporate your mission into your core value. Next, you must then work to very precisly define what your company means by each of those core values, and how you can define them to stand apart from your competitors. If you could only tell somebody 3-5 things about you, what would you want them to know about you? [EDITOR’S NOTE: In Armin Trost’s lecture Human Resources Management: Attracting And Selecting The Best Candidates, Mr. Trost notes that each company must create its own unique employee value proposition. 00:08:46 With trust established in your company, you can then have the necessary and healthy conflicts and debates within your company that lead to progress and high-performing teams. Without healthy conflict and debate, how can you possibly know whether you’ve gotten to the best possible solution to commit on? 00:09:21 After the company or team has committed to a solution, if they are not then held accountable to their commitment, the company won’t see the results. 00:10:03 When recruting employees, interview for culture fit, not only for technical or skill fit. A competent employee who doesn’t believe in the company mission and core values, or fit into the company culture, will not provide the results you hired him or her for. 00:14:02 Build a team that is so competent and skilled that you are almost uncomfortable and have to raise your game to be with them. 00:15:03 Once you start getting product-market fit, at some point you must go from phase 1: building the product, to phase 2: building the company that builds the product. No matter how incredible your product is, if you can’t build a great company that builds the product, then your product will not endure. 00:23:30 All the founding stories you tell at the beginning become the stories that people repeat and talk about when you’re a huge company; kind of like your childhood stories. 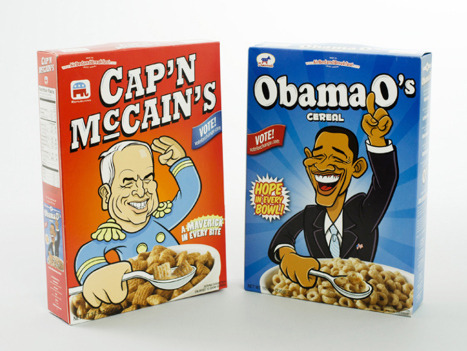 This clever campaign got Airbnb national coverage, and they made +$40,000 selling these breakfast cereals. To put that in perspective, that year Airbnb made only $5,000 from actual website sales. 00:28:04 No one every really talks about culture and tells you that you need to have a strong culture. Also, company culture is hard to measure, and things that are hard to measure often get discounted. But the biggest problem with company culture is that it doesn’t pay off in the short term. Culture makes you hire really slowly. If your objective is to build a company that gets acquired very quickly, don’t invest your time creating company culture; instead build a product and hire people really quickly in preparation for being acquired. 00:31:36 Internet clones are get-rich-quick companies that copy up-and-coming companies and threaten to either you acquire them and pay them good money for it, or you risk losing your momentum and success to them. They can be a true threat to your company. 00:38:20 With companies where your hosts and users provide the products/services and are extensions of your core values and mission, like with Airbnb, having users who don’t also believe in your core values but are only using you to make money can cause your company a lot of problems. One of the ways we addressed this problem was by creating the super-host badge to push those users into priority customer support and exposure. 00:41:28 It’s better to have 100 people that love you than to have a 1 million people that just kind of, sort of like you. Posted on June 9, 2015 July 31, 2016 by Joshua SMITHPosted in videosTagged airbnb, alfred lin, brian chesky, sequoia capital, Stanford University, startups, videos, ycombinator, zappos.